Over the past six blog posts I have identified a significant transition in aged care facilities and retirement living. Outlining the issues that are currently occurrent in these sectors in relation to accessibility and affordability and why there has been a need for change. As Australia has an aging population, due to the generation of baby boomers, aged care has become a greater focus for the Australian Government. As a result, aged car providers have been encouraged to devise greater access to aged care as well as provide higher quality care, to improve the quality of life for our senior citizens. The greatest change that can be identified is the movement toward vertical retirement villages and serviced apartments, as well as aged care facilities transitioning into domestic spaces. There is a direct link between health care and the design of a space, which is why the role of architects has become increasingly important for aged care, as the design of these facilities has become a larger priority for aged care providers. 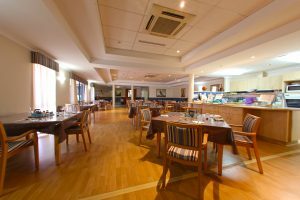 There is a high demand for retirement living to be located in suburban areas so that seniors do not need to move away from their community to live in appropriate accommodation. Due to land constraints retirement living has been moving away from the traditional retirement village toward multi-story apartments. Allowing for them live in high-density areas, meaning that residents can be closer to hospitals, community centres and shopping centres. This is significant as it has changed the model of retirement living and has introduced facilities such as Bethanie Gwelup a facility that have been explored in previous blog posts. The emergence of Services Apartments can also be identified in Australia, as we have seen with Bethanie on the Park, located in Perth’s north metropolitan suburbs. Services apartments are a new model of independent living that allows seniors to live in their own apartment while still having access to the appropriate assistance. 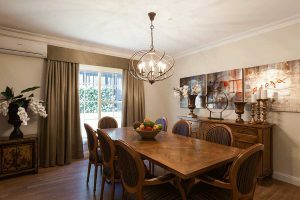 The benefit of serviced apartments is that it allows residents to form relationships with their neighbours, though the inclusion of public spaces such as dining and living areas. Constructing a community within the apartment complex, something that has proven to be of key importance of the wellbeing of elderly people, and humans in general. Although notable change has been implemented throughout Australia in the independent living sector, there is a greater requirement for change in the residential care sector. This is mainly in terms of the actual design of these facilities and the creation of space. 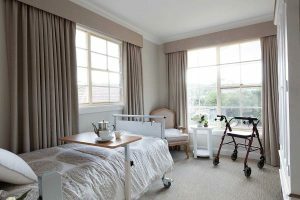 Although the accessibility of aged care facilities is obviously, still very important, and aged care providers have been working on increasing the number of beds available by constructing large multi-story aged care facilities. The quality of care that can be provided by these large, cold, institutionalised buildings is something that does need to be addressed, and change is necessary. The reason for this is that the traditional hospital-like aged care facilities to not provide the quality of life for residents, which could be achievable if these facilities were designed in a different way. 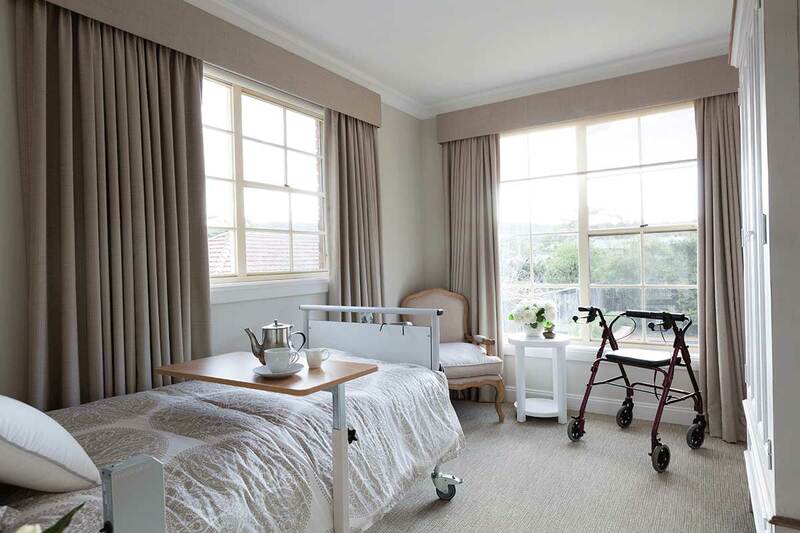 Ellis Jones’ health and ageing consultants express the following concerns in regard to the design of aged care facilities and how change may be implicated to form a greater sense of place in these facilities. Ellis Jones advises, “We need more human identity in aged care architecture” to support the wellbeing and recovery of residents, as there is a direct link between happiness and the quality of our environment. Aged care providers do not sufficiently align their facilities with community needs or create relationships with the community. Something that has not been addressed in the design of large aged care facilities, is that elderly people do not want their lives to change once they move into residential care. If someone has lived their whole life in a domestic home, of course moving them into a cold, hospital-like institution would be stressful and lower their quality of life. This issue is beginning to be addressed around the world, and more recently in Australia, with the emergence of a new model of aged care, the Small House Model. This model is based on the Green House model that has been implemented in the United States, and social housing concepts that originated in Sweden. Small house model is based on the Green House model which emerged in the United States some years ago. In 2010 there were 89 operational Green House nursing homes in the United States. The model consists of 6-12 individual bedrooms with unsuits, that open into common areas that include a kitchen, dining and living area. The small house is staffed with 24-hour carers ensuring that residents have access to the care they need. The main goal of the Small House model is to deinstitutionalise nursing homes. Studies prove that group living was beneficial to dementia patients, as residents in smaller settings showed reduced signs of anxiety, depression and aggressiveness. Allowing residents greater independence resulting in preserved function and longer length of stay for patients. The wonderful part of the Small House model is that it allows for relationships to form between neighbours and encourages residents to interact, creating a community. Something that has often been missed in large residential care facilities where patients are confined to their individual rooms and as a result lack the social interactivity that people desire. As well as create individual identities to the space they inhabit, something that has been mentioned earlier by Ellis Jones, as an imperative component that has been lacking in past aged care models. Encouraging interaction between private and public space to prevent social isolation. Designing for dementia patients is another challenge that is recently becoming addressed. The importance of interior design and its direct influence on constructing an inclusive environment for dementia patients is something that has been over looked in the past. Design decisions such as circulation, contrasting colours around doorways, avoiding heavily patterned floors and walls, all contribute to forming a safe space for dementia patients and can increase patient’s confidence. Group Homes Australia, an aged care provider bases in New South Wales, have successfully used this model of aged care. Group Homes currently consists of 8 homes in Sydney’s suburbia, each home houses 6 to 8 people that have dementia or require 24-hour care. This form of aged care is ideal for seniors who do not wish to be institutionalised but still require around the clock care, as it allows them freedom to act as they would at home and to take part in day-to-day activities. Tamar Kreb, CEO of Group Homes Australia states in an interview with the Sydney Morning Herald that, “the model is based on individualising people as opposed to institutionalising them”. This model has been successfully implemented in countries such as the US, Japan and the Netherlands, and is suspected to become popular in Australia in the coming years. Although large residential care facilities are still the most common form of aged care in Australia, the Small House model has proven to be successful around the world, and Australian Aged care providers are moving toward this form of facility. The Small House model is commonly referred to in Australia as Clustered Domestic model of residential care, and has been directly associated with increasing quality of life and overall health. This model of aged care can also be provided at the same or even a lower cost that traditional aged care facilities, meaning that it could be more affordable and therefore accessible to a larger portion of Australia’s aging population. While the Small House model addresses many of the issues in residential care, it may not be more accessible than traditional aged care facilities. As this is a new model of care, there are not many homes available yet, and the pricing is relatively similar to traditional nursing homes. However, the government may subsidise some of the fees and there are no mandatory deposits required, unlike nursing homes. Unfortunately, there will always be limited access and affordability for aged care in Australia as there is not enough aged care available to the amount of people that require it. The only way that this could change is if more facilities became available, which would alter the supply and demand ration associated with aged care, and possibly make it more affordable. Image Comparison: Left: Bedroom of Group Homes Australia, home in Sydney. 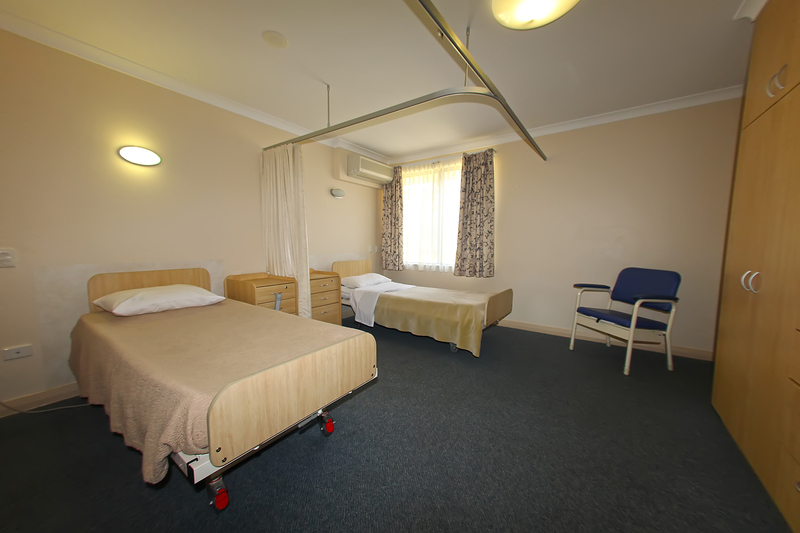 Right: Bedroom in aged care facility, Bethanie Fields, in Western Australia. Image Comparison: Left: Dining room of Group Homes Australia, home in Sydney. 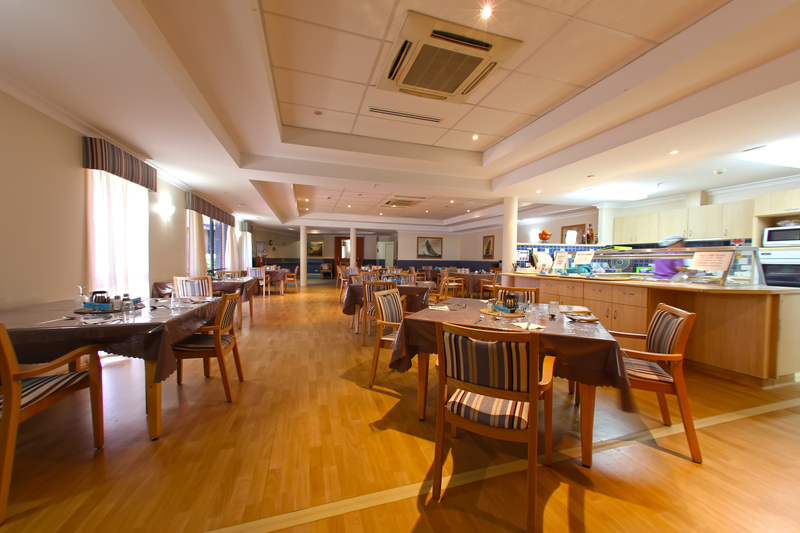 Right: Dining hall in aged care facility, Bethanie Fields, in Western Australia. Cain, Alexandra. 2016. The future of aged care: bringing the elderly home. September. Accessed June 5, 2018. https://www.smh.com.au/business/small-business/the-future-of-aged-care-bringing-the-elderly-home-20160906-gr9rmo.html. Dyer, Suzanne M. 2018. “Clustered domestic residential aged car in Australia: Fewer hospitalisations and better quality of life.” Med J Aust 443-437. Henderson, Jan. 2018. The Challenges for Design in Aged Care. February 5. 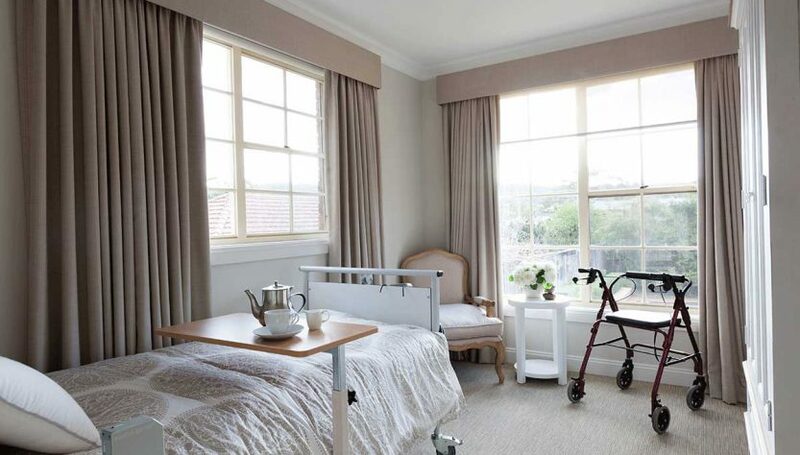 Accessed May 30, 2018. https://www.australiandesignreview.com/interiors/challenges-design-aged-care/. People Talk. 2015. Aged Care Architecture Needs More. March 31. Accessed June 2, 2018. https://ellisjones.com.au/industries/health-communications/aged-care-architecture/. Zimmerman, Sheryl, and Lauren W Cohen. 2010. Evidence Behind th Green House and Similar Models of Nursing Home Care. Accessed June 5, 2018. https://www.medscape.com/viewarticle/740653. Sheryl Zimmerman, Lauren W Cohen, “Evidence Behind the Green House and Similar Models of Nursing Home Care,” Medscape, June 2010, accessed June 5, 2018, https://www.medscape.com/viewarticle/740653.